My friend Lindsey introduced my sister and me to Flex Mussels approximately two years ago. To this day, the fact that I continue to bring newcomers here speaks for itself. I am a little embarrassed to even say that I actually went twice this past week to introduce two out-of-towners (including Nanette!). If that doesn’t convince you to come here, then I don’t know what will. 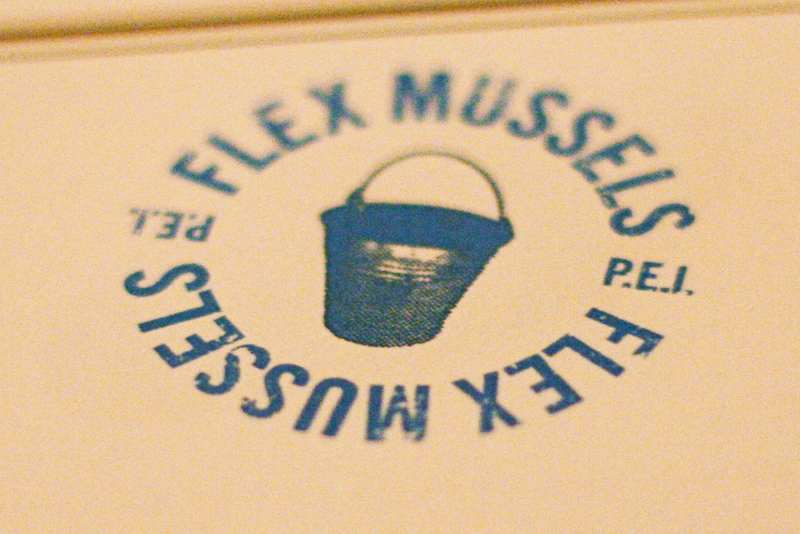 Nevertheless, from the moment I found out this restaurant was called “Flex Mussels” and saw the staff wearing “Flexual Healing” t-shirts, I immediately knew this was going to be my kind of place. The owners Bobby and Laura Shapiro pride themselves in having handpicked, quality mussels from Prince Edward Island, Canada delivered to their restaurant. The interior walls are even decorated by landscape photography from P.E.I. Starting from the top of their menu, they offer a wide selection of appetizers, including many varieties of raw oysters. 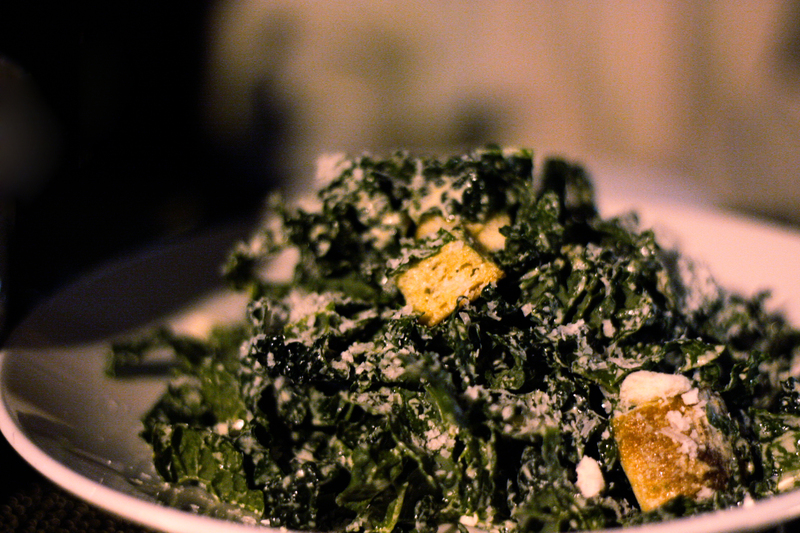 Knowing their generous portion sizes, I would recommend going for something a bit lighter like their splendid kale salad! 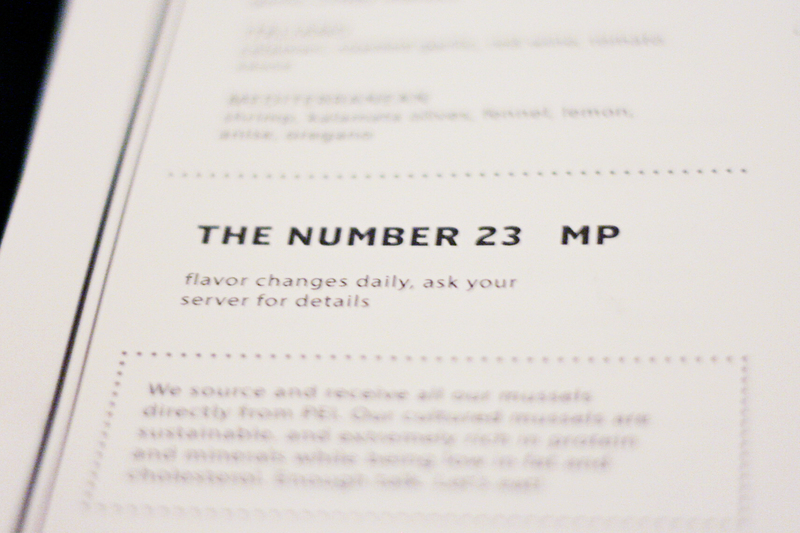 They offer 23 different styles of mussels that essentially cover every cuisine in the world. 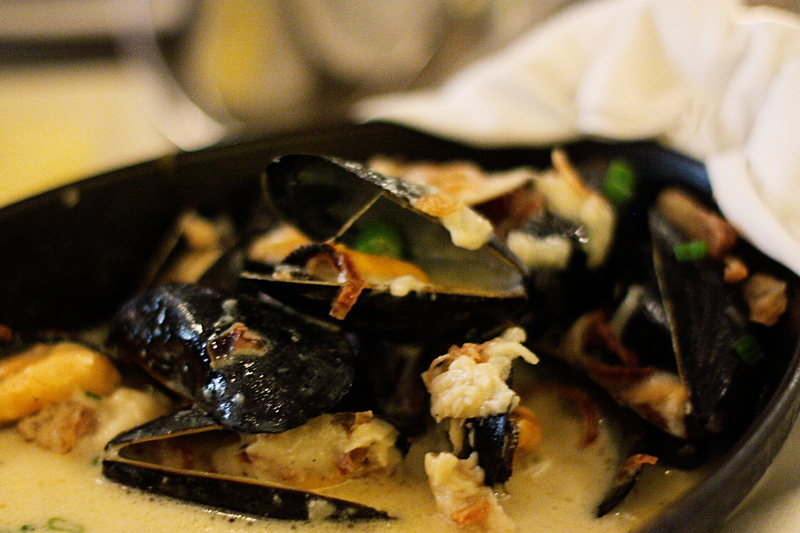 You can choose anything from Thai curry-inspired to Mediterranean and Italian-style mussels. The 23rd style is always the special of the day. 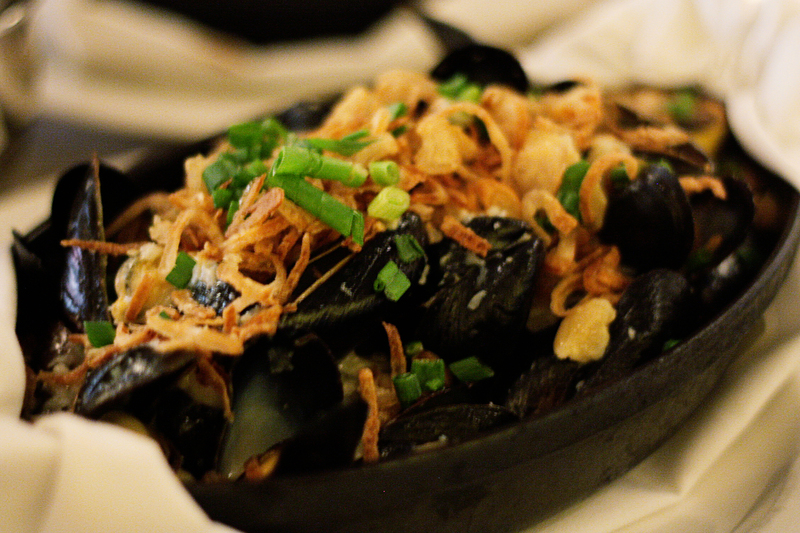 The mussels are either served in a pot or iron skillet, still simmering in their specialty broths. Pictured below is the Parma and the Number 23 (this day’s was inspired by baked potatoes). As you can tell, Flex Mussels does not leave you starving. Each dish is roughly 1 – 1.5 lbs. of 18-20 mussels with a rich broth and served with plenty of bread. Though, this restaurant is on the more expensive side of the spectrum, you definitely get your money’s worth. I brought some leftovers home, got a loaf of bread, and enjoyed another great meal the very next day. During my second outing, my friend ended up chatting with the manager while waiting for my arrival. As a result, Brooks was kind enough to give us a free dessert! 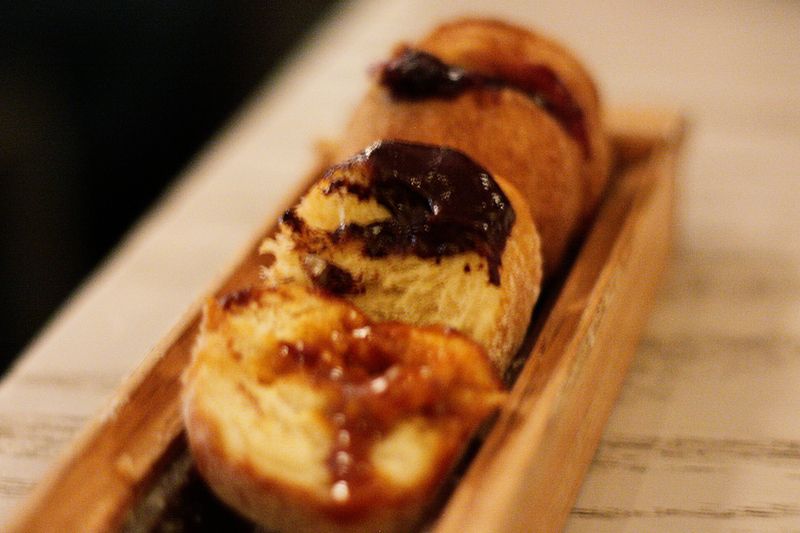 We were surprised with the famous “Flex Donut Collection”. 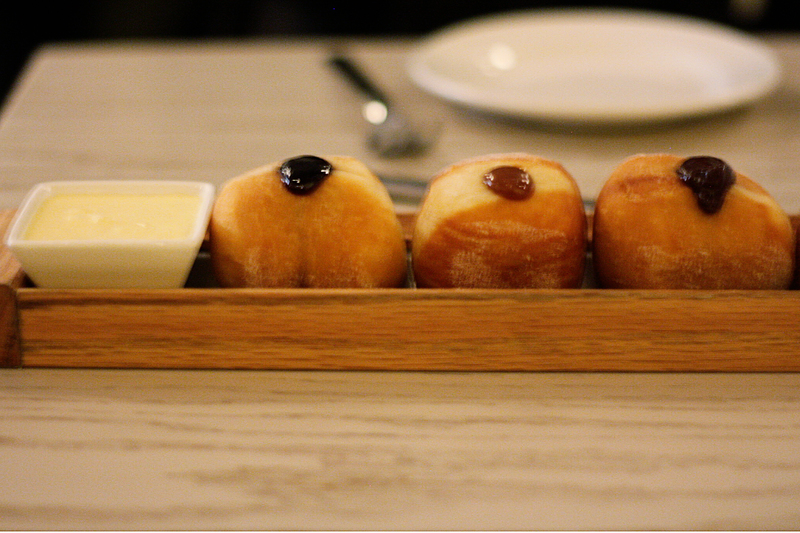 Ours had the blueberry, salted caramel, absinthe chocolate, and cinnamon donuts accompanied with a vanilla bean dipping sauce. It was definitely a very sweet surprise! 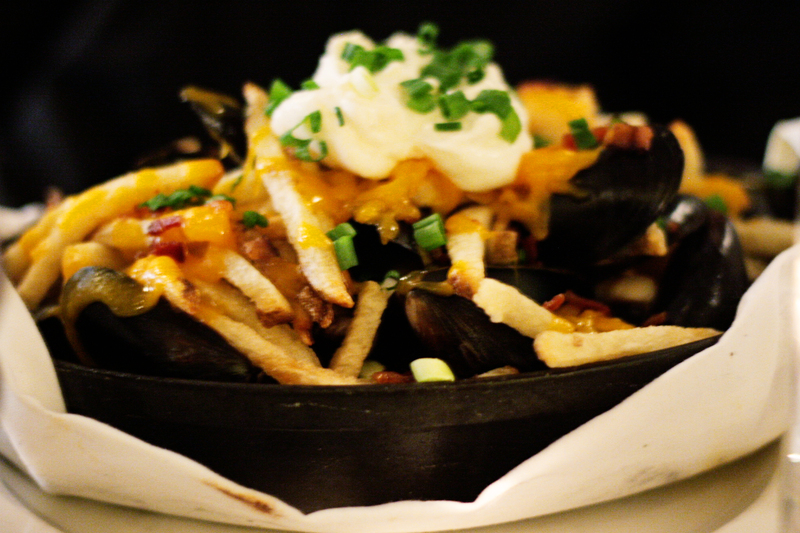 Flex Mussels will continue to be a place that I take my friends for a nice dining experience. Check out one of their two locations next time you’re around the area!